This website and this email and this google account and of course my name of Gloria Poole belong to me Gloria Poole of Missouri. I moved to Missouri on Oct 31, 2009. The photos of the paintings and the paintings themselves belong to me Gloria Poole and are my originals that I painted then I photographed them to add to them to my websites. These images are copyrighted and the paintings themselves are copyrighted and I own the copyrights and all rights to them. You may not save them to your computer, reproduce them in any way, nor save them to a flash drive or disk or download them. 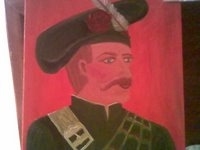 These are my photos of my own paintings, sketches, and drawings that I paint, sketch or draw. As such they are covered by international copyright laws as intellectual properties. <gloriapoole (at) gmail.com> or via my ; and or via my landline number in Missouri that is a listed number in the telephone directory and my cell phones are also listed numbers. Or click on the Google call me widget on the pages and on other websites. All phones for me are in Missouri. I have no family nor artist's agents in Colorado. I never had business partners in Colorado. (s) Gloria Poole, [gloriapoole©]. Today's date is 5-Dec-2009@ 2:25PM, central time.Updated again on 11-May-2010 by me Gloria Poole.Updated again 11-April-2012 by me Gloria Poole. http://sites.google.com/site/newsforlife/humans-in-womb-photos/ and I ask you to please also see those photos and please always vote for the prolife candidate who votes prolife ! This painting below is entitled "The Sultan" and is one of the first I painted in my "ethnic series" of paintings beginning 2007. I want/intend too to paint a painting of each group of people [those with a common ancestry and tongue, and culture] to show that all humans are HUMAN! And that all are loved by GOD. This image may be floating around in cyberspace too, because today when I added it to this website, I had to send it TWICE before it got to where I could upload it! The first 'send' vanished! It said it was sent but it did not get to my space for it, so I resent it. I am not happy when my images of my original paintings are stolen! If you magnify the images you will see my signature on them. This is oil on canvas board, 16 X 20. NOTE: THE ETHNIC SERIES OF OIL PAINTINGS ARE PAINTINGS I PAINTED AND SIGNED AND PHOTOGRAPHED BUT THEY ARE NOT REAL PEOPLE. Also, note that I HAVE possession of all ethnic series oil paintings I have ever painted and also the sketches for #ethnic series I create beginning in year 2006. This painting above I named "The Sultan". It is one of a series of ethnic paintings and is oils in size 16 x 20. "The Scotsman" in another in that series and it is on this page. Scroll to see it. These paintings are 16 X 20. " Update to this paragraph below on 4 June 2014: All domains I ad for years 2003 -2011 were stolen from me by criminals who broke into my web-hosting accounts. I do not own any domains now but do have blogs and websites still. Compare this photo by unknown hacker into my account with my photo of my painting [same painting] at my site: http://gloriapoole.me.uk/ . I am saving this image here because that brown thing you see sticking out from behind my painting in this image to the left is proof of the hacker that was trying to upload his image to my website to steal my website and name! I do not know how he knew when I was uploading my image of my painting to try to "sync" his fraudulent image [whatever is on that brown thing sticking from behind my painting] with mine,unless the spying on my computer is 24/7; but I think there is an investigation into hacking my computer and/or websites. You could see it more like it really looks at gloriapoole.com/paintings and click the link "The Scotsman" and it should open up to large format and not have that brown thing sticking from behind it. Also whoever hacked this website also tried to slam my cellphone and was somehow using my cell phone to make his calls because numbers I did not recognize and had never called showed up when I signed into my online account to download my address book! Remember cell phones run on software and apparently it is possible for them to be hacked. Pay attention to your account because some retailers in Denver Co are not reputable and will sell your cell phone info for $20. Denver is a city where it seems the majority of citizens are not moral or are illegals working to make a fast buck. Be aware. See update paragraph above this one and add this update: on 4 June 2014 at 6:34pm: I am leaving this paragraph for legal documentation, especially since there were several efforts today as I was login in to block me from logging in, including a black guy who said he was calling from "Lee's Summit" [to try to connect to my computer] . 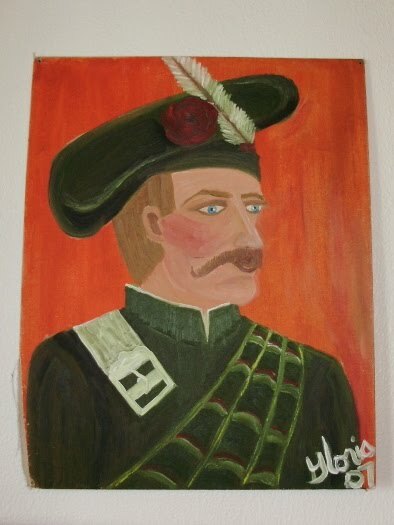 This same photo of an oil painting that I painted and still own and have in my possession [as I do have all of these paintings] is also displayed on other blogs of mine including https://mini-exhibition.blogspot.com and http://gloriapoole.blogspot.com and also http://gloriapoole-UK.livejournal.com. See page 2 "More of my paintings"
and page 3, reminder, "Creativity is of GOD" ." Leaving this paragraph for law enforcement but I do not live in Colorado since Oct 31,2009 when I moved to Missouri:The USPS Service "supervisor" of my old Post Office Box in the zip code of 80201 that was my P O Box for the years of 2002-2007, admitted that they issued a key to my PO Box to a thief of my mail, and though I had changed the key they continued to hand the mail over the counter to the same thief and told me it was my "employee" but I do not have employees and never did! And complaining about the USPS to the supposedly proper person brought a person to "investigate" who could not and did not bother to even look up who owned my PO BOX [me] and the spelling of my name. Why am I telling you this on this website? Why not? More importantly, IF you should get a false response from sending mail to me or an contact from someone telling you that they are the "president" of my work or my agent, that would be an attempted thief to steal your ??? [money or info would be my guess]. I do not have a President of any of my work, nor do I have an agent of my art/paintings. I am the ONLY "executive" of any my work, [words that WORK,LLP®, gloriapoole.com, Life Media & Publishing LLP®, and also the only person authorized to sell any of my work or my paintings. Some of my pencil sketches [5-6 sketches/drawings] were stolen since Spring of 2007 so beware of that. I tell you all of this because I am trying to prevent anyone from being defrauded by an illegal and immoral person attempting to use my name or works for evil. I am Christian, and reputable and honest and I want you to know this info. Some of my paintings were stolen from St Simons Island,GA [about 8-10 of them]. You may see some images of the paintings that are missing at http://gloriapoole.com/missing-paintings. The FBI and the Interpol Police know of this. Do not trade in stolen art. The penalties are prison. Update to this paragraph on 4 June 2014 at 6:21pm: I am leaving this paragraph here as legal documentation about the U S Pot office in Denver CO 80201 giving my U S mail to persons not related to me and not authorized to pick up my mail for years 2007-2010. Missouri; Remember that there is NO one in Colorado that represents me in any way and I have no family in Colorado, and I never had business partners in Colorado. I moved from Colorado on Oct 31, 2009. 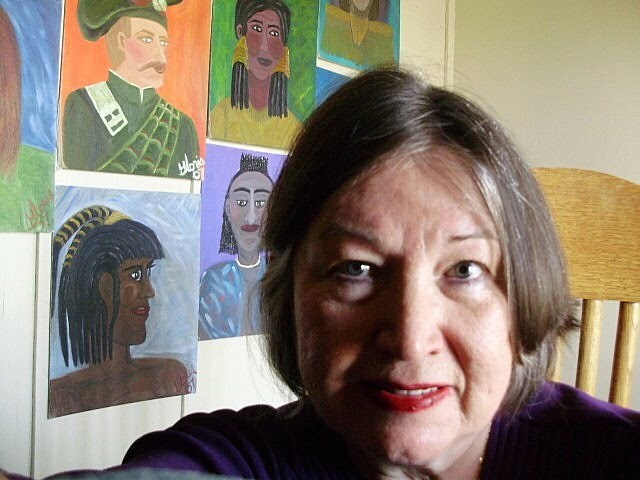 I took this photo of myself to add to some of my websites with images of my paintings particularly and to websites because there was much wrangling over who I am and what my name is.I have updated my photos on several of my sites. There is a reason why I am leaving this photo on this site. But it is me too. Gloria Poole is my real name! This photo below is me, that I took with a self-timer on my camera, few months ago, after having been hit by a van that tried to run over me in June 2011; and after having endured/survived 7 years [Dec 2002-Oct 2009] in the horrible state of Colorado where felons,murderers, drug-addicts are pampered,molly-coddled & preferred to Registered Nurses, because felons,murderers, drug-addicts there pay lots of "fines" to lots of people there to stay at liberty. My 2nd exhusband is in that latter category and he told me that paying huge fines & bribes is 'the cost of doing business" [for dealing cocaine] in Colorado and doesn't upset him at all. I am ashamed that i was fooled by him. I did not know his character. So anyone considering marriage should get a background check on the person. Learn from my mistakes. I tried to "redeem" him because I am anti-drug and he tried to kill me because of it. This is my photo of me, sitting in front of some of my ethnic paintings that were on my wall of my apt in Missouri as gallery for 2 yrs. I still have all of these oil paintings that I painted . NONE OF THOSE PAINTINGS BEHIND ME ON MY WALL IN MISSOURI ARE OF REAL PEOPLE. I CREATED THEM WITH A PAINT BRUSH AND OIL PAINT ON CANVAS BOARD. Gloria Poole, often written as gloria poole or "gloriapoole" when writing online or creating websites. I am an artist since 1973, and also a Reg Nurse;by email please contact gloriapoole AT gmail; Missouri; contact me via my google permanent number or my cell phones or my landline number in Missouri. Note copyright: all paintings and images of them are copyrighted. Also copyrighted in Missouri. Since I have painted in every place I ever lived in, all of my paintings are copyrighted! You may not copy them, nor print them; nor reproduce them in any way. You may not save them to your computer or to your disc. You may not authorize anyone else to do those tasks either. These images of my paintings that I painted; and photographed to put on websites; and my photographs [not of paintings] also belong to me and may not be used by others except to view and enjoy. signed Gloria Poole copyright© gloriapoole® RN and artist, and a white, Christian,single, prolife, republican woman! Also, very important: I do NOT have a Facebook account nor a Pinterest account. I know there are several people on Facebook using my name, but I do not have a Facebook account and never had a Facebook account; and do not intend to get one because of tracking cookies they put on my computer without my permission! I do not trust them at all. Telephone me via my landline wired telephone in Missouri in my name; or via my Google permanent phone numbers; or by calling my mobiles if you know them. I LOVE Google, GOD bless 'em. You can also email me, at any of the emails known to be mine. I do not have any authorized agent. There were repeated break-ins to hosted websites of mine by criminals to steal emails, bank info, and domains over the period of time from second marriage in Dec 2002 [since then a second divorce also in Oct 2007] until last year when all my computers were broken into via stolen apps from my itunes acct and stolen info I put on a brand new SONY PSP I bought in Jan 2011. I realized buying domains was futile and not only a waste of money but that was allowing thieves to steal my intellectual content also, and several times info of my financial accounts. Updated on Dec 2009 and again on 11-May-2010 in Missouri by me Gloria Poole. Updated on 13-Nov-2011 in Missouri @ 9:59am by me Gloria Poole.Updated 11-April-2012 @ 5:25pm by me Gloria Poole. Updated some on 7-Aug-2012 by me Gloria Poole in Missouri.Updated by me Gloria Poole again on 4 June 2014 at 6:29pm. 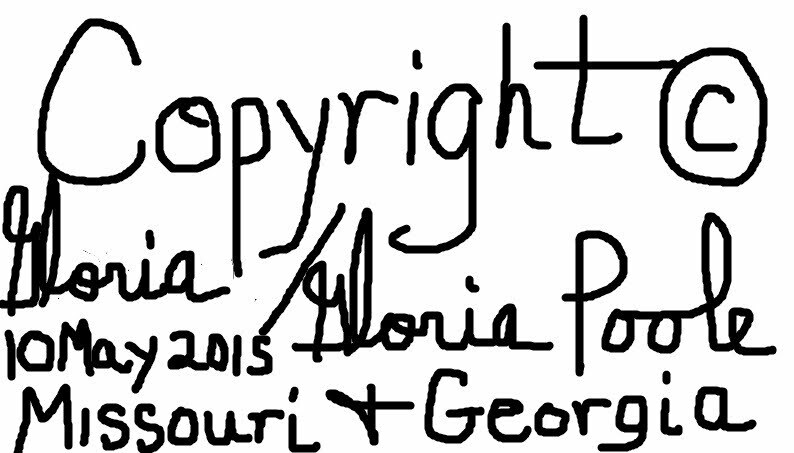 Updated by me Gloria Poole on 6 Dec 2014 to add my personal logo and my copyright notice. Updated by me Gloria Poole, RN, artist on 4 June 2015 at 9:39am to add in copyright notice. 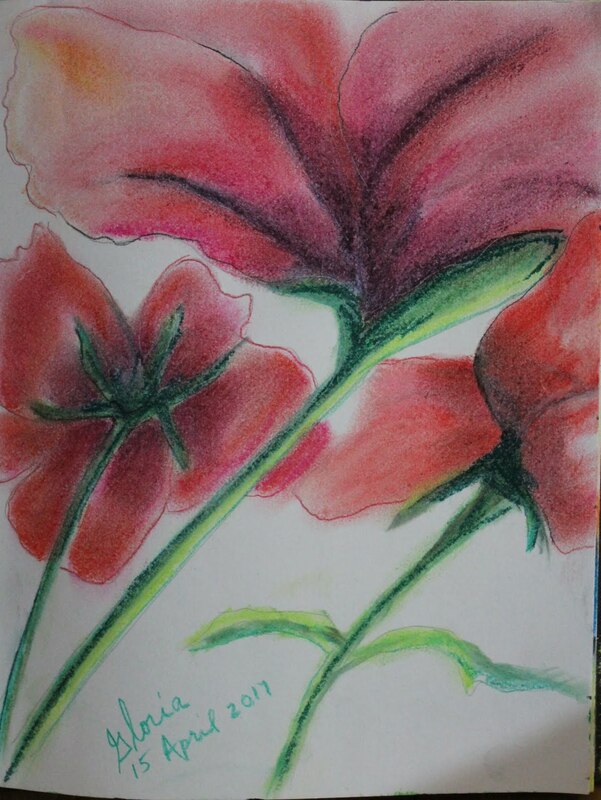 Updated by me Gloria Poole [Registered Nurse and artist in all art mediums] slightly on 5th April 2016 at 12:07pm . I create all content on this blog and I, Gloria Poole , own all rights to this blog collectively and individually as single posts. All telephones listed on this account and any account of mine on the web belong to me personally and are in my apartment in Missouri or in my possession at all times. Some of my numbers are wired, landline telephones and some are mobile phones. This blog and all blogs that I create and that contain my words I wrote and or art I made and signed and or photos that I photographed belong exclusively to me Gloria Poole, of Missouri and Georgia. Copyright. Gloria Poole / Gloria / gloriapoole /gloria-poole /gloria.poole/ Ms Gloria Poole/ Poole Gloria / G-L-O-R-I-A / gloriapoole1749 /gloria0817 /gpoole817 / gloriapooleRN at yahoo / gloriapoole.RN / artist-gloriapoole /Gloria Poole,RN,artist /cartooning-by-gloriapoole / photo-by-gloriapoole, and other variations of my real name with or without my professional status as Registered Nurse and with or without numbers after my name, at my own private apt in Missouri which is not shared with anyone and neither is my equipment nor phones shared with anyone, and neither is my isp account shared with anyone which means no one is authorized to log into any account of mine anywhere but me. /signed/ Gloria Poole, RN, artist; at my apt in Missouri on 20th April 2017 at 3:57pm. Also, note I had to delete about ten pages of content in a foreign language that was put into my documents folder by criminal ID thieves/hackers who broke into my google account from remote on 20th april 2017 at 4:04pm..